This article is about the guitarist of Heart. For the jazz vocalist, see Nancy Wilson (jazz singer). Nancy Lamoureaux Wilson (born March 16, 1954) is an American musician, singer, songwriter, producer, and composer. She rose to fame alongside her older sister, singer Ann Wilson, as a guitarist and backing vocalist in the rock band Heart, which she joined in 1974. Raised near Seattle, Washington in the suburb of Bellevue, Wilson began playing music as a teenager. During college, she joined her sister Ann, who had recently begun a tenure as the singer of Heart. The first hard rock band fronted by women, Heart released numerous albums throughout the late 1970s and 1980s, beginning with Dreamboat Annie (1975), and Little Queen (1977), both of which generated chart singles such as "Magic Man", "Crazy on You", and "Barracuda". The band later had commercial success, especially with their eighth and ninth studio albums, Heart and Bad Animals, which were released in 1985 and 1987. Over the duration of their career, Heart has sold over 35 million records. Wilson has been lauded for her guitar playing, noted for its blending elements of flamenco and classical guitar styles with hard rock. In 2016, Gibson ranked Wilson the eighth-greatest female guitarist of all time. Nancy Lamoureaux Wilson was born in San Francisco, California, the third and youngest child of John Wilson (d. 2000), from Corvallis, Oregon, and Lois Mary Wilson (née Dustin; d. 2006), a native of Oregon City. Her middle name is derived from her grandmother, Beatrice Lamoureaux. Wilson is of French and Scottish descent. She has two older sisters, Lynn and Ann. Wilson was raised in Southern California and Taiwan before the family's U.S. Marine Corps father retired to the Seattle suburb of Bellevue, Washington, where they relocated when Wilson was six years old. The family lived in a Colonial home in the Lake Hills neighborhood. On February 9, 1964, Wilson and her sister Ann saw The Beatles perform on The Ed Sullivan Show, a moment they each recalled as being profoundly influential: "The lightning bolt came out of the heavens and struck Ann and me the first time we saw The Beatles on The Ed Sullivan Show... There'd been so much anticipation and hype about The Beatles that it was a huge event, like the lunar landing; that was the moment Ann and I heard the call to become rock musicians. I was seven or eight at the time.... Right away, we started doing air guitar shows in the living room, faking English accents, and studying all the fanzines." Two of Wilson's friends joined Ann and her to form their first music group, which they called The Viewpoints, a four-part harmony vocal group. Later that year, Ann purchased her first guitar, a Kent acoustic, with money given to her by her grandmother. Wilson's parents soon bought her a smaller guitar, but since it would not stay in tune, she began playing Ann's Kent guitar. On August 25, 1966, The Beatles performed at the Seattle Center Coliseum, a show which Wilson, her sister Ann, and bandmates attended, another event both recalled as influential in their early lives. The Viewpoints' first public show was a folk festival on Vashon Island in 1967. In Wilson's words, "We didn't get paid, but since there were people sitting in folding chairs, we considered it a professional gig." The band played at venues such as drive-ins, auto shows, and church socials. The Wilsons' public debut as a duo took place on Mother's Day at their church. Later at a church Youth Day event, the duo performed "The Great Mandala (The Wheel of Life)" by Peter, Paul and Mary, Elvis Presley's "Crying in the Chapel", and The Doors' "When the Music's Over". The anti-war sentiment, and the irreverence for the venue in some of the lyrics, offended a number of people. By the time they finished, more than half had walked out. Wilson felt some guilt over the event, but "it lit a bonfire under us because we saw for the first time that what we did on stage could have an impact on an audience." Although Ann Wilson attended Sammamish High School in Bellevue, where her father was an English teacher, Nancy attended Interlake High School. After graduating high school in 1972 and prior to joining Heart, Wilson attended Pacific University in Forest Grove, Oregon, for one year, majoring in art and German, before transferring to Portland State University in Portland, Oregon. While in college, Wilson played solo acoustic shows at student unions, performing covers of Joni Mitchell and Paul Simon songs, as well as occasional originals. In late 1973, Wilson returned to Seattle, transferring to the University of Washington. While still a senior in high school, Ann joined a band whose drummer knew a country songwriter who needed a backing band to play on his songwriting demos; Wilson and sister Ann entered a recording studio in Seattle to record the demos. During the session, the engineer allowed them to record the song "Through Eyes and Glass", which Nancy and Ann had written. The engineer had his own record label, and liked their songs enough that he offered to make up 500 copies "for a few bucks". Nancy and Ann's first single appeared on the B-side of the country track titled "I'm Gonna Drink My Hurt Away". It was credited to Ann Wilson and the Daybreaks, which was not the name of the band, and it omitted Nancy as co-songwriter. Later, the sisters were returned 250 unsold copies of the record. Ann was an acquaintance of guitarist Roger Fisher and bass player Steve Fossen (of the local band The Army) when she answered their advertisement seeking a drummer and a singer, while living in Vancouver, British Columbia. She impressed them with her vocal skills, and within an hour of meeting, joined the group, which they called Hocus Pocus. The group shortly reformed as Heart with Wilson's sister, Ann. Under the pressure of her sister, Wilson joined the band and relocated to West Vancouver. Wilson recalls that "some of the guys" in the band were initially resistant to her joining, and insisted she audition by sitting in periodically. She was given the assignment to work up the introduction to the Yes song "Clap". She learned it, and the next night after playing it with the band at a tavern, was officially made a member of the band. Since the group mainly did covers of songs that were radio hits to which the crowds could dance, adding more acoustic numbers meant writing original songs for the band in that format. The band also needed more material for an album, so Nancy and Ann set about doing both. The band had recorded a demo with Mushroom Records some time before, and producer Mike Flicker remembered them. Flicker was impressed with Ann's voice and wanted to sign her; he was less interested in Roger, and saw Nancy as a "diamond in the rough", but was intrigued by the idea of a female rock guitarist. Since Michael Fisher was Ann's boyfriend and the band's manager, and lead guitarist Roger was Michael's brother, Flicker recognized the politics of the situation, and allowed all four members to sign a recording contract. The band went into the studio to record the single "How Deep It Goes" written by Ann, to test the market before recording an entire album. A session drummer was brought in, as was Howard Leese to arrange string parts on the track. The single, backed with "Here Song", was released in 1975. Flicker was impressed with several songs written by Nancy and Ann, particularly "Crazy on You", "Magic Man", and "Soul of the Sea". Although the demo had not become a hit, a second single "Magic Man" backed with "How Deep it Goes" was released and was first picked up for radio play by CJFM – FM 96 in Montreal. The band subsequently began recording their debut album, Dreamboat Annie, in Vancouver. Partway through the recording sessions, Ann and Nancy composed the title track. After completing the recording, the group offered Leese a position in the band as a guitarist and keyboardist. Leese was the band's first new member, and subsequently became its longest active member, (after Nancy and Ann), playing with the group for a total of 24 years. Mushroom Records released "Magic Man" as a single before Dreamboat Annie had been completed, and the song received airplay in and around Vancouver. The album was released in Canada in September 1975 along with the single "Crazy on You". At the time, Canada had content laws that mandated that a certain ratio of what was played on radio had to be from Canadians. This initially helped the band, as their songs could be played to fulfill the requirement. As they played in taverns and clubs across Canada, Shelley Siegel, the promoter from Mushroom, took Nancy and Ann to local radio stations, where they did interviews and station identifications to promote the album. By late 1975, the album was selling considerably in Canada. In the United States, the album was released on Valentine's Day 1976. By that time, "Magic Man" was an FM hit in Canada and the band had received exposure in northern U.S. border cities such as Detroit, Buffalo, and Seattle, where Canadian stations could be received. In late 1976, Siegel took out a full-page advertisement in Rolling Stone touting the band's success, using the headline "Million to One Shot Sells a Million". The advertisement was contrived to look like the front page of the National Enquirer. It included one of the photos from the Dreamboat Annie cover shoot, but with Nancy and Ann looking into the camera. The caption under the photo read: "Heart's Wilson Sisters Confess: 'It Was Only Our First Time! '", which outraged the band. The band's original contract with Mushroom held the band to two albums, but also mandated Mike Flicker as producer; this resulted in a dispute between the band and Mushroom, with the contract eventually being terminated, and the band signing with Portrait Records, which released their second official studio album, Little Queen, in May 1977. The album spawned the track "Barracuda", which reached number 11 on the Billboard charts. The group's third official release, Magazine, was released pre-emptively by Mushroom the following year, and contained eight tracks, some of which had been unfinished; the band sought an injunction and Magazine was recalled after 50,000 copies had already been sold. The dispute over the record lasted nearly 2 years and ended with a court deciding that Mushroom was owed a second album based on the band's contract. The band then re-recorded, remixed, edited, and resequenced the tracks on Magazine, which was re-released in April 1978. With the re-release, the group had the distinction of having all three of its albums on the charts simultaneously. Magazine's producer, Shelley Siegel, died of a brain aneurysm shortly after the re-release. On July 28, 1977, Nancy and Ann appeared on the cover of Rolling Stone for the first time. With the success of Little Queen, a great deal of pressure existed to quickly follow up with another album. Wilson and the group traveled to Berkeley, California, where her friend, Sue Ennis, was studying to receive a PhD at the University of California, Berkeley. Ennis became a writing partner on the group's fourth release, Dog & Butterfly, which they wrote together over the course of a single day. The album was released in October 1978, selling a million copies within the first month. It remained on the album charts for the better part of a year and went on to become a triple-platinum album. It was the band's fourth million-selling album in a row. During their tour to support Dog & Butterfly, Wilson and Fisher, who were a couple at the time, became estranged. After discovering Fisher had cheated on her, Wilson began dating Michael Derosier. This resulted in tension between the band members, ending with Fisher destroying a guitar onstage, later throwing part of it at Wilson in a dressing room. Shortly after, in October 1979, the group voted to oust Fisher from the band. Fisher's departure allowed Leese and Wilson more dominant roles, with Wilson having the opportunity to play more lead guitar. Heart's fifth album, Bébé le Strange, was released on Valentine's Day 1980. The album earned some of Heart's best reviews to date, and eventually went gold. The resulting tour was their biggest to date and had them touring with Lynyrd Skynyrd, the Marshall Tucker Band and Queen, and opening for the Rolling Stones on October 3 and 4, 1981 at Folsom Field in Boulder, Colorado. Later that spring, Rolling Stone did an article on Nancy and Ann and featured them on the cover for the second time (RS317; May 15, 1980). This second cover, by Annie Leibovitz, once again featured Nancy and Ann bare-shouldered, shoulder to shoulder, and looking into the camera. The band's sixth album, Private Audition, was released in June 1982 and sold only 400,000 copies; it peaked at number 25 on Billboard. After their series of platinum and gold albums, this was considered a flop. However, Heart continued to do well with concert sales, and had the eighth-highest-grossing tour of the year. During this time, tensions between Wilson and drummer Derosier had increased after several breakups, and both bassist Fossen and he decided to leave the band. Over the next year, they were replaced by bassist Mark Andes and drummer Denny Carmassi. The lackluster performance of Private Audition led to increased pressure for the band's next album, Passionworks. Drugs also became a factor during this time. Wilson recalls: "Everything we did in those years had a white sheen of powder over it. There were only a few people on our crew, or band, who resisted. Cocaine was sprinkled over the albums, the videos, and our lives. Cocaine stripped all the humor out of our music. The videos we made were completely without intentional comedy, but were so serious they had an almost comedic feel." After the release of Passionworks, CBS dropped the band due to lackluster sales. After being rejected by five labels, Capitol Records agreed to sign Heart, but only if they agreed to record songs written by others, or if they co-write with "hit factory" songwriters; they reluctantly agreed. Capitol also brought in Ron Nevison as producer. One of Nevison's conditions was that acoustic guitar be removed from the band, to which Wilson agreed. Since the group had yet to release a self-titled album, they reluctantly decided to name their eighth studio album Heart. During this time, music videos had become tightly tied to the success of a release. In the wake of the success of Purple Rain by Prince, the label began to revamp Heart to make the band members appear more Prince-like, as evidenced by their elaborate costumes worn during this period. The self-titled Heart became the band's first number-one album. "What About Love" was released as a single ahead of the album; it became a hit, and crossed over into the pop charts. The album had five hit singles in all. "If Looks Could Kill" just missed breaking into the top 40, peaking at number 54; the rest were all top-10 hits, including "Nothin' At All", "Never", and "These Dreams". The album remained on the charts for 78 weeks, and went on to be certified five-times platinum. "These Dreams" had been submitted to them (along with "We Built This City") from Bernie Taupin and Martin Page after Stevie Nicks had turned it down. Though she had not written it, Wilson loved the song from the start. She had to fight to sing it because some band members thought it "did not sound like a Heart song." Studio executives were not keen on her singing lead vocals for it, but she persisted. During the taping session, they received a letter from Sharon Hess, a 22-year-old fan who was dying of leukemia. One of her wishes was to meet Nancy and Ann, and she arrived the same day as the recording of Nancy's vocals for "These Dreams". Sharon loved the song and Wilson dedicated it to her on the album notes. 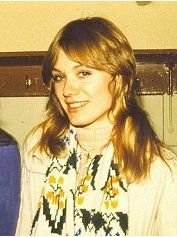 Sharon died just a few days after the final mixes were finished and was buried wearing a Heart T-shirt and cap, with her favorite guitar in her hands. Wilson says, "It's just the way I'd want to go out." "These Dreams" became Heart's first number-one single on the Billboard Hot 100 on March 22, 1986. After marrying screenwriter Cameron Crowe, Wilson began rehearsing for the band's next album. As before, they were using songs from other writers, but with a number-one album on the charts, the pool from which to choose was larger. Outside writers included Diane Warren ("Who Will You Run To"), Lisa Dalbello ("Wait for an Answer"), and the team of Tom Kelly and Billy Steinberg ("Alone"). The album, Bad Animals, was so named as a joke about their pets, and was released on June 6, 1987. "Alone" had been released prior to the album; it became the band's second number-one hit, and the second-biggest single for the year. This gave them something they had not had with the Heart album: a number-one single before the tour started or the album was released. "We were following on success, not building to it," Wilson recalled. Another track from the album, "There's the Girl", peaked at 12 on the Billboard charts. It re-entered the charts at the same spot more than a year later in January 1988, while the album itself peaked at number two. The Bad Animals tour was to start in May 1987 in Europe, and all the dates were sellouts, including three dates at Wembley Arena. During the tour, Ann began to have moments of panic and stage fright. Nancy would have to step forward and play an unscheduled guitar solo, or other ploys, to buy time for Ann to compose herself. Work began on the following album, Brigade, in 1989. The label pressed them to include even more material from outside writers. Brigade, had only three songs written by the Wilson sisters, and two each by Diane Warren and Mutt Lange. The label insisted they include a song Mutt Lange had written titled "All I Wanna Do Is Make Love to You", which became a chart hit. Brigade was the band's third multiplatinum album in a row, peaking at number three on the Billboard chart. Around 1990, Wilson and sister Ann were approached to play a Red Cross benefit for the troops during the Gulf War. The promoter wanted Heart to play, but most of the band had been let go after the Brigade tour. Nancy and Ann coaxed Sue Ennis to join and play for the one-time event, along with another friend, Frank Cox. The Lovemongers name emerged as a counter to the war mongering sentiment surrounding the war. Since they lacked a drummer, Sue programmed a rhythm track into her keyboard and they brought a cardboard cutout of Ringo Starr on stage as a joke. The group played a wrap party for Wilson's husband, Cameron Crowe's, new film Singles, with a local Seattle band, Mookie Blaylock (later Pearl Jam). The Lovemongers played a number of benefits with Nancy and Ann paying the technical crews and other bills themselves. In October 1991, Heart released Rock the House Live!, which chronicled songs played on the Brigade tour in 1990. Grunge had taken a firm hold on music by this time, and combined with the lack of big hits the album peaked at only 107 on the Billboard charts. Since most of the previous few albums had been recorded in a rush to "ride the wave", Nancy and Ann decided to take their time with the next one. The label consented, as long as they included "Will You Be There (In the Morning)" by Mutt Lange, and recorded a Spanish version of the song. In 1991, Nancy and Ann entered into a partnership with Steve Lawson, who owned Kaye-Smith Studios, where many of their 1970s hits, as well as Bébé le Strange, had been recorded. They upgraded the facility to the state-of-the-art, and renamed it Bad Animals Studio. Recording in their own studio allowed them to take more time with the album. R.E.M., Neil Young, B.B. King, Soundgarden, Alice in Chains, and Pearl Jam all recorded in the studio before they sold their interest in 1997, when it was renamed Studio X. The album, titled Desire Walks On, was released in November 1993 and peaked on Billboard at number 48. It was far from a flop – it received gold certification in August 1995 – but also far from the multiplatinum status their string of 1980s albums had been. "Will You Be There (In the Morning)" was a top-40 hit, making it to numbers 10, 15, and 25 on various charts, and the Spanish version was a hit in some Latin markets. "Black on Black II" was a top-five Billboard Mainstream Rock single, peaking at number four for 4 weeks and garnering heavy airplay on hard rock and metal stations. The band owed Capitol records one more album. Since their Lovemongers shows had received such a positive response, they decided to record an "unplugged" album. They recruited many rock notables to contribute to the record, titled The Road Home. John Paul Jones of Led Zeppelin served as producer; Layne Staley of Alice in Chains and Chris Cornell of Soundgarden both contributed. The album only reached number 87 on the U.S. Billboard 200, and the group was dropped by Capitol. In 1995, Wilson requested that Heart go on hiatus. Wilson explained that she wanted to spend more time working with husband Cameron Crowe on film scores and start a family. At the time, Wilson was 41 and undergoing fertility treatments, which were difficult to schedule around a rock tour and appearances. Wilson had played "Beautiful Girl in Car" in Crowe's Fast Times at Ridgemont High, then had a small speaking part in The Wild Life. She also contributed some guitar recordings for Crowe's 1989 film Say Anything... and the original song "All For Love". Wilson became more involved in Jerry Maguire, Crowe's new film, and decided that she would write the film score. For this, Wilson hired a young engineer and bought a department-store TV and VCR to do the job inexpensively. The work often took place in 103-°F (39.4-°C) heat because the engineer's air conditioner was broken. For Crowe's 2000 film Almost Famous, Wilson composed the theme and produced the original songs. She also helped as a technical consultant with Peter Frampton coaching the actors on how to look and act like musicians on stage. She also composed the theme music for Vanilla Sky, and for Elizabethtown, on which she played all the instruments. During her hiatus from Heart, Wilson was not entirely dormant as a performer; she played the occasional Lovemongers benefit, though she noted that her fertility treatments made performing increasingly difficult. In 1996, Wilson performed her first solo acoustic show in 30 years. Kelly Curtis arranged to have it released as an album, Live from McCabe's Guitar Shop, in 1999. The music on the album is a mix of Heart songs (four of them), covers (songs by Peter Gabriel, Joni Mitchell, and Paul Simon), and original new material. The arrangements are sparse, consisting of just Wilson singing and playing acoustic guitar and mandolin, plus backing vocals. In November 1997, Wilson and Ann set out on a 12-date tour travelling by van on what they called the "Don't Blink" tour (joking that, "if you blinked, you missed it.") Wilson and Ann also recorded and released the Lovemongers' first album, Whirlygig. The next year, the Lovemongers also released Here Is Christmas, which was re-released in 2001 as Heart Presents a Lovemongers' Christmas. In 2002, Wilson embarked on a tour with sister Ann as Heart. The tour became a family affair, with four children and their nannies added to the mix of musicians, technical staff, and roadies. It was an 8-week tour and ended what had been a 10-year hiatus from touring for Wilson. The Summer of Love tour concluded in Seattle and that performance was released as the Alive in Seattle DVD, which achieved gold status without an associated album. The sisters decided to record a new Heart studio album, Jupiters Darling, the first since 1993. Wilson was co-producer, along with guitarist Craig Bartock, who had joined the band. They wrote all the songs for the album except one. To enhance the guitar parts, Wilson got friends Jerry Cantrell of Alice in Chains and Pearl Jam's Mike McCready to contribute. The album, released by Sovereign Records, charted on the Billboard Top 100, but sold only 100,000 copies. Wilson and sister Ann had complete artistic control over the making of the album. In 2009, after completing a tour with Journey and Cheap Trick, Wilson began recording Heart's 14th studio album, Red Velvet Car, with Ann. The album released in 2010 and included two singles by Nancy: "Hey You", which reached the top 40 on the Hot Adult Contemporary chart; and "Sunflower", which Nancy wrote for Ann's 60th birthday. The album peaked at number 10 on the Billboard 200 chart and three on the Rock Albums chart. With Nancy now aged 56, and Ann about to become a grandmother, the sisters had managed to have albums make it onto top-10 charts in four different decades. The band's subsequent tour sold out and charted on Billboard just behind those of Lady Gaga and Rihanna. 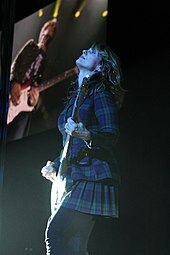 After completing an international tour with Def Leppard in 2011, Heart was nominated for the Rock and Roll Hall of Fame. On December 11, 2012, Heart was announced to be inducted into the Rock and Roll Hall of Fame as part of the class of 2013, along with Rush, Albert King, Randy Newman, Donna Summer, Public Enemy, Quincy Jones, and Lou Adler. Nancy and Ann also received a star for Heart on the Hollywood Walk of Fame in September 2012. Heart released their 15th studio album, Fanatic, in October 2012; it debuted at number 24 on the Billboard 200, and hit number 10 on Billboard's Rock Album chart. Simultaneously, Wilson began assisting in compiling the band's first boxed set, Strange Euphoria (taken from the name of their music publishing company). It includes three CDs of 51 songs, commentary, and a DVD of a 1976 live performance. The Amazon-exclusive version includes a bonus CD of five Led Zeppelin covers titled "Heart: Zeppish". Included is "Through Eyes and Glass", the single they recorded as teenagers while singing backup to the country singer, as well as early demo versions of "Crazy on You" and "Magic Man." In 2016, Heart released their 16th studio album, titled Beautiful Broken, which features Wilson singing lead vocals on the track "Two". At an August 26, 2016, show in Auburn, Washington, promoting the album, Wilson's teenaged sons were reportedly assaulted by sister Ann's husband, Dean Wetter, after entering the band's tour bus. Wetter pleaded guilty to two nonfelony assault charges in the fourth degree. The band completed their tour in October that year, and Wilson later commented: "I'm an eternal optimist because I'm from a really strong, tight family, and I don't think any drama that's temporary is going to change our strong relationship. We just have to get through this first. It's been kind of a nightmare." After the incident, Ann confirmed that Heart was on an "indefinite" hiatus. In late 2016, Wilson formed a band called Roadcase Royale with former Prince band member and R&B singer Liv Warfield, lead guitarist Ryan Waters (the musical director for Liv's solo work and Prince protégé), Heart keyboardist Chris Joyner, bassist Dan Rothchild, and drummer Ben Smith. They released their first single, "Get Loud", in January 2017. The band signed with Loud and Proud Records in July 2017 and released their debut full-length album First Things First on September 22, 2017. In February 2019, Heart announced their hiatus had ended and that they would embark on the Love Alive tour in the summer of 2019. Wilson dated bandmates Roger Fisher and Michael Derosier during the early years of Heart. Circa 1983, Wilson's friend Kelly Curtis introduced her to screenwriter Cameron Crowe; Wilson married him on July 27, 1986. After numerous failed fertility treatments, Wilson and Crowe conceived a child via an egg donor and surrogate, and gave birth to twin sons, Curtis Wilson and William "Billy" James Crowe, in January 2000. The marriage ended in divorce in 2010, with the couple citing irreconcilable differences. In 2011, Wilson began dating Geoff Bywater, who worked in music production on television shows for Fox. They were engaged in 2012 and married on April 28, 2012, in Mill Valley, California. ^ a b c Shindler, Merrill (July 28, 1977). "The Wilson Sisters Talk Heart to Heart". Rolling Stone. Retrieved December 27, 2017. ^ a b c d "Heart: Can Ann and Nancy Wilson Go on After Family Assault?". Rolling Stone. April 30, 2017. Retrieved January 28, 2018. ^ Kohn, David (July 15, 2003). "Taking Heart in New Surgery". CBS News. Retrieved February 2, 2018. ^ Prown & Newquist 1997, p. 115. ^ Erickson, Anne (March 26, 2016). "Guitar Gals: The Top 10 Female Guitarists of All Time". Gibson. Retrieved December 23, 2017. ^ Wilson, Wilson & Cross 2013, p. 242. ^ Wilson, Wilson & Cross 2013, p. 253. ^ Wilson, Wilson & Cross 2013, p. 13. ^ a b Wilson, Wilson & Cross 2013, p. 12. ^ a b Wilson, Wilson & Cross 2013, p. 27. ^ Kelly, Maura (August 2007). "Interview of Nancy Wilson for the Believer". The Believer. Retrieved February 5, 2018. ^ Wilson, Wilson & Cross 2013, p. 45. ^ Wilson, Wilson & Cross 2013, pp. 44–6. ^ Wilson, Wilson & Cross 2013, pp. 44–8. ^ a b Wilson, Wilson & Cross 2013, p. 59. ^ Wilson, Wilson & Cross 2013, p. 60. ^ Wilson, Wilson & Cross 2013, pp. 60–2. ^ Wilson, Wilson & Cross 2013, pp. 62, 70. ^ a b Wilson, Wilson & Cross 2013, p. 97. ^ Wilson, Wilson & Cross 2013, p. 98. ^ Wilson, Wilson & Cross 2013, pp. 87, 98. ^ a b Wilson, Wilson & Cross 2013, p. 73. ^ a b Wilson, Wilson & Cross 2013, p. 75. ^ Wilson, Wilson & Cross 2013, p. 82. ^ Wilson, Wilson & Cross 2013, p. 102. ^ Wilson, Wilson & Cross 2013, p. 103. ^ Wilson, Wilson & Cross 2013, p. 104. ^ Wilson, Wilson & Cross 2013, p. 90. ^ a b c d Wilson, Wilson & Cross 2013, p. 107. ^ Wilson, Wilson & Cross 2013, pp. 104–5. ^ a b Wilson, Wilson & Cross 2013, p. 139. ^ Wilson, Wilson & Cross 2013, pp. 103–9. ^ Wilson, Wilson & Cross 2013, p. 105. ^ Wilson, Wilson & Cross 2013, pp. 102–6. ^ "Dreamboat Annie by Heart". iTunes. Apple. Retrieved January 28, 2018. ^ a b c d e "Heart". Behind the Music: Remastered. Season 1. Episode 8. March 20, 2010. VH1. ^ Wilson, Wilson & Cross 2013, p. 114. ^ Wilson, Wilson & Cross 2013, p. 113. ^ Wilson, Wilson & Cross 2013, pp. 117–22. ^ "Barracuda Peaks at #11". Billboard. Retrieved November 1, 2012. ^ Wilson, Wilson & Cross 2013, pp. 114–16. ^ a b Wilson, Wilson & Cross 2013, p. 115. ^ Wilson, Wilson & Cross 2013, p. 121. ^ Wilson, Wilson & Cross 2013, p. 131. ^ Wilson, Wilson & Cross 2013, pp. 131–33. ^ a b Wilson, Wilson & Cross 2013, p. 133. ^ a b Wilson, Wilson & Cross 2013, p. 138. ^ Wilson, Wilson & Cross 2013, pp. 149–52. ^ Wilson, Wilson & Cross 2013, pp. 152–59. ^ Wilson, Wilson & Cross 2013, p. 146. ^ a b c "Heart Chart History". AllMusic is cited in some cases because the chart history engine at Billboard seems inaccurate for at least some albums prior to the mid-1980s. It indicates that Dreamboat Annie and Prince's Let's Go Crazy never made the 200 chart. ^ Wilson, Wilson & Cross 2013, p. 160. ^ Wilson, Wilson & Cross 2013, p. 152. ^ a b Wilson, Wilson & Cross 2013, p. 153. ^ a b Wilson, Wilson & Cross 2013, p. 165. ^ Wilson, Wilson & Cross 2013, p. 168. ^ Wilson, Wilson & Cross 2013, pp. 169–73. ^ "Billboard Chart for March 1986". Billboard. March 22, 1986. ^ a b "RIAA Certified Gold, Platinum and Multi-Platinum Database". ^ Wilson, Wilson & Cross 2013, pp. 169–70. ^ Wilson, Wilson & Cross 2013, p. 171. ^ "Alone" was back in the charts 22 years later, (February 2009), at number 44 on the Digital Songs chart. ^ a b Wilson, Wilson & Cross 2013, p. 183. ^ "Heart: "There's the Girl"". Billboard. Retrieved January 28, 2018. ^ "Heart: Bad Animals". Billboard. Retrieved January 30, 2018. ^ Wilson, Wilson & Cross 2013, p. 188. ^ Wilson, Wilson & Cross 2013, p. 200. ^ Wilson, Wilson & Cross 2013, p. 204. ^ Wilson, Wilson & Cross 2013, p. 206. ^ "Heart". Mix. Mix Publications. 22 (1–6): 169. ISSN 0164-9957. ^ "Chart of Heart's Singles and Album performance". ^ "Heart: "Black on Black II"". Billboard. Retrieved February 3, 2018. ^ Wilson, Wilson & Cross 2013, pp. 207–9. ^ Wilson, Wilson & Cross 2013, p. 231. ^ Wilson, Wilson & Cross 2013, p. 216. ^ Wilson, Wilson & Cross 2013, p. 217. ^ Wilson, Wilson & Cross 2013, p. 224. ^ Wilson, Wilson & Cross 2013, p. 225. ^ Wilson, Wilson & Cross 2013, p. 220. ^ Wilson, Wilson & Cross 2013, p. 236. ^ a b Wilson, Wilson & Cross 2013, p. 239. ^ a b Wilson, Wilson & Cross 2013, p. 256. ^ Wilson, Wilson & Cross 2013, p. 260. ^ a b "Rock and Roll Hall of Fame". rockhall.com. 2012. ^ a b Quan, Denise (September 27, 2012). "Heart receives a star on Hollywood Walk of Fame". CNN. Retrieved February 3, 2018. ^ "Heart rocks on with Fanatic". Billboard. Retrieved January 28, 2018. ^ a b Wilson, Wilson & Cross 2013, p. 267. ^ Graff, Gary (June 19, 2017). "Ann Wilson Talks Upcoming Solo Work & Heart Hiatus: 'It Will Never Be the Way It Was Before'". Billboard. Retrieved January 28, 2018. ^ Graff, Gary (September 20, 2017). "Nancy Wilson's New Band Roadcase Royale Shares Layne Staley-Inspired 'The Dragon': Exclusive". Billboard. Retrieved February 3, 2018. ^ Kreps, Daniel (February 11, 2019). "Heart Reunite for All-Star 'Love Alive' Summer Tour". Rolling Stone. ^ Wilson, Wilson & Cross 2013, p. 180. ^ Wilson, Wilson & Cross 2013, p. 229. ^ Wilson, Wilson & Cross 2013, pp. 253–4. ^ Wilkey, Robin (May 3, 2012). "Nancy Wilson Wedding: Heart Rocker Marries Geoff Bywater At Sammy Hagar's Mill Valley Restaurant". The Huffington Post. Retrieved February 1, 2018. ^ a b c d "About Nancy". Heart-Music.com. Archived from the original on February 5, 2018. Retrieved February 5, 2018. ^ "Film in 2001". British Academy of Film, Television and Arts. Retrieved February 5, 2018. Prown, Peter; Newquist, Harvey P. (1997). Eiche, John F., ed. Legends of Rock Guitar: The Essential Reference of Rock's Greatest Guitarists. Hal Leonard Corporation. ISBN 978-0-793-54042-6. Wilson, Ann; Wilson, Nancy; Cross, Charles (2013). Kicking & Dreaming: A Story of Heart, Soul, and Rock & Roll. New York: HarperCollins. ISBN 978-0-06-210167-9. Wikimedia Commons has media related to Nancy Wilson (guitarist).